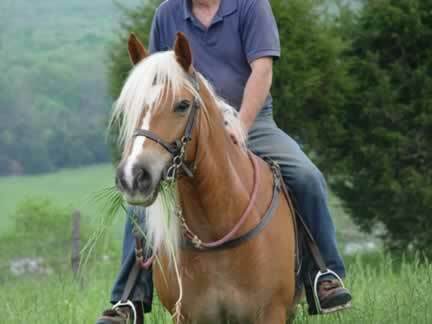 Lily is a 10 year old registered Haflinger mare. 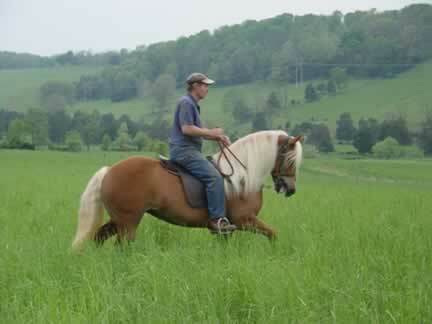 She has a beautiful red chestnut coat and white mane and tail. She stands 14 hands tall. 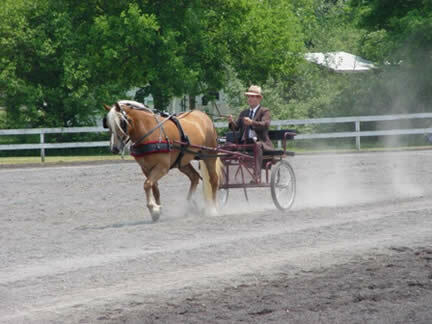 Lily is a very well trained horse to both ride and drive. She responds well to voice commands. She is sound along the highway in traffic. She has a soft mouth and is easy on the lines. Lily has good ground manners and is easy to handle. She has a wonderful gait for riding. She does not have any health issues and is current on all shots, dental work and worming. Lily has good conformation and is well balanced. She has mothered a foal.